Vertical blinds are the gold standard for covering your windows and protecting your furnishings and interior from dangerous UV and harmful direct sunlight. They simply look fantastic on windows and doors of a great variety of shapes and sizes. The practical design strips away all unnecessary fluff, leaving just the essentials for an elegant sleek look. 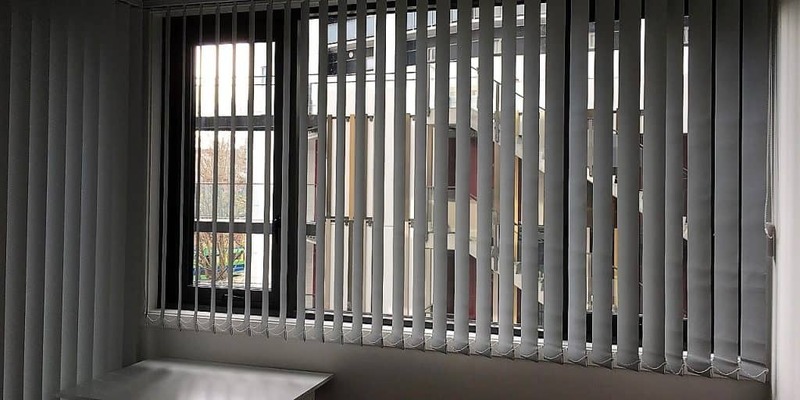 If you’re in the market for new attractive, well-designed blinds and they must be able to improve feeling of height in your rooms and give an impression of bigger space and light, we have you covered! We’ve got exactly what you’re looking for – EOS Helix Vertical blinds. We offer three different track colours and an extensive range of fabrics to follow the latest fashion trends and add a contemporary touch to your home or office. The track is now available in three calm colours (white, anodised silver and ivory) and has been redesigned to be up-to-date with the latest interior trends. Traveler hooks are crafted from highly efficient and exceptionally durable thermoplastic. Clutch function and stabilizing arm keep the hooks totally secure inside the track. All end caps, drive chain, travelers and end retainers are produced from Polyacetal – a high-end thermoplastic designed to last virtually forever. Beaded chain allows unique control over the blades and sunlight. Triangular wand option allows tilting and drawing blades across. It is available for all stack options. Chain and cord – a beaded chain (available in three calm colours: white, ivory and grey) tilts the blades and cord stacks them to the sides. Traversing Wand — a brand new triangular wand (available in white and anodised colours) is the option to go for. Rotate and draw all the blades using only one hand. Stacking options – one-way draw (to the left or right), two-way draw or centre stacking. Bottom weight options include traditional finishing with weights and chains, ‘chainless option’ and fully sewn-in weights. 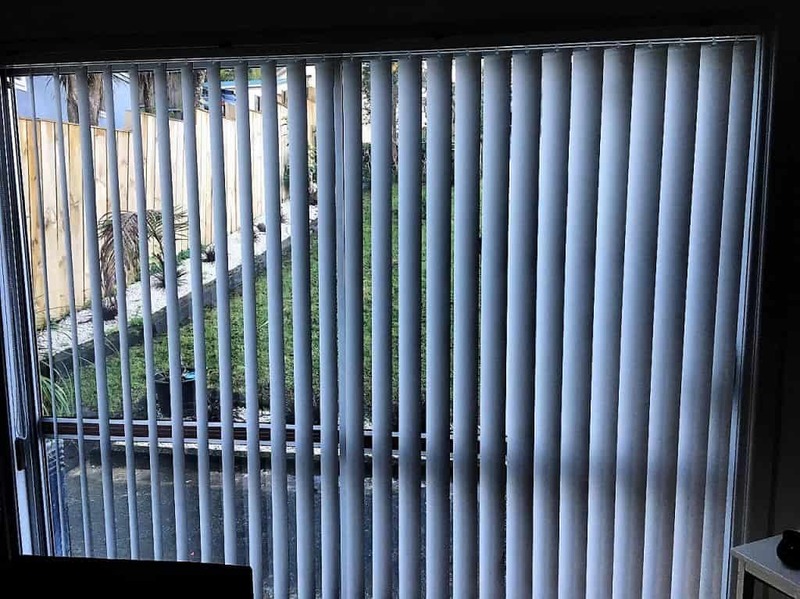 You can always draw the blades to the opposite side to allow easy cleaning of your windows. Find out more about the high quality and elegant looking fabrics for vertical blinds. Ranging from light-filtering to 100% block-out and having many colours to choose from.